PLM Autocentre Ltd PLM Autocentre Ltd provides services, mechanical repairs and is a registered MOT test centre found on Rydal Road (off Little London Road), Sheffield. 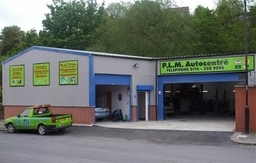 PLM Autocentre Ltd is managed by Peter Lindley who has been in the motor trade since leaving school in 1978, serving an apprenticeship at Mercedes Benz, Sheffield. He established his current business in 1986. The garage was demolished and rebuilt in 2009 to accommodate the increasing workload built up over the past years. Also there's apprentice Andy Ellis eagerly learning the trade under Peter's guidance.